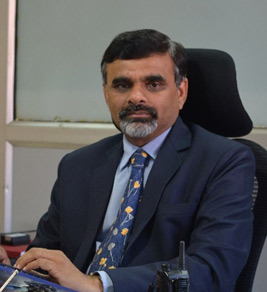 Dr. Rakesh Ranjan B.E., M.E., Ph.D. from BITS Pilani has more than 25 years of teaching and research experience at Indian and foreign Universities. He has co-authored books entitled “Renewable Energy Sources & Emerging Technologies”, PHI. India, “Signals and Systems” published by McGraw-HILL, Singapore/Tata McGraw-Hill, New Delhi, India, “Random Process and Queuing Theory” and “Circuits and Signals” published by Pearson, Prentice Hall, Malaysia, SCHAUM’S OUTLINES on Signals and Systems published by Tata McGraw-Hill, New Delhi. His latest book “Environmental Science and Engineering” was published by Narosa Publishing House in the year 2017. He has also contributed 35 research papers in international journals and 52 papers at international conferences in the area of Radial Distribution Systems. Dr. Rakesh Ranjan is actively involved in research at international forum and served as International program committee and technical committee member for various international Conferences and Journals. He has guided seven Ph.D. students and has completed many sponsored projects. Dr. Rakesh Ranjan has the distinction of being listed in Marquee’s “Who’s Who in the World’ for Science and Technology and conferred “Sikhsha Rattan” at India Habitat Centre, New Delhi.